I don’t know about you, but I find it super exciting when I can find a drugstore product dupe (something that can be substituted for something else) compared to a high-end product. When you can save a buck, why not do it?! Who cares about brand names when you can have more cash in your pocket at the end of the day? I think any woman can appreciate that! This comes in 4 colors: Carbon Black, Black, Gray, and Brown. 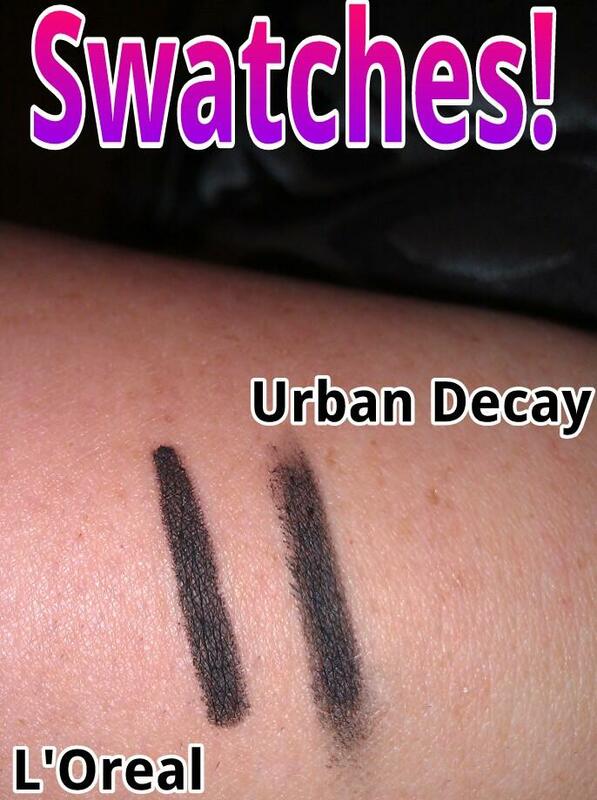 I have mine in the color Carbon Black and oh my goodness is this extremely pigmented! It’s the blackest eyeliner I’ve ever seen. 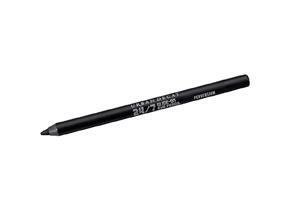 It glides on just as good as the Urban Decay 24/7 Eyeliner if not better and that’s no joke! The staying power is awesome too, I’ve had mine on since 2PM this afternoon and it’s 8PM now and it is still perfectly in place. The only place it’s wearing off is the outer corner of my lower waterline is (which is no big deal). There’s no such thing as a perfect eyeliner, but this baby comes close!! My eyes have been watering crazy like all day… so it’s holding up phenomenally in my opinion. This eyeliner comes in 24 different colors and I have mine in the color Zero which is a soft matte black. 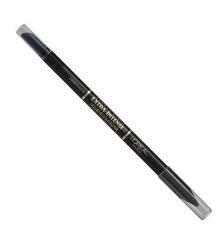 Perversion from UD, however, is the dupe I’m comparing the L’Oreal eyeliner to. It is supposed to be a dark deep intense black as well. This is a great eyeliner, but the price…? Really? I’m saving $11 with the drugstore brand and I’m NOT trading the quality either. I’m going to give you the ‘technical’ pros and cons about each product and you can decide for yourself which buy would be best for you. Well, take your pick! I hope this blog has helped anyone who has been considering buying either or product. I hope you’re all having a blessed evening and feel free to comment, subscribe, and share this post! This entry was posted in Beauty, Makeup and tagged Affordable, beauty, Carbon Black, Comparison, Dupes, eyeliner, Fashion, L'Oreal, L'Oreal Extra Intense Liquid Pencil, makeup, Perversion, Urban Decay, Urban Decay 24/7 Glide-on Pencil. Yayyy!! Lol gel liner is the best!